Pierce County Superior Court Judge Kathryn Nelson took almost no time to issue her decision, and gave little rationale for her choice. She did, however, anticipate she would not have the last word on the matter. TACOMA — Sound Transit can continue collecting car-tab taxes as it has been doing for the last 18 months, a Pierce County judge ruled Friday, dismissing a class-action lawsuit that claimed the law authorizing those taxes was unconstitutional. Pierce County Superior Court Judge Kathryn Nelson took almost no time to issue her decision, following an hour of oral arguments, and gave little rationale for her choice. She did, however, anticipate she would not have the last word on the matter. “There are many aspects of this case that I think are way above my pay grade and I have a feeling that there will be opportunities for those people with that pay grade to double-check my work,” Nelson said from the bench, before ruling that the plaintiffs had not proved beyond a reasonable doubt that the law violates the state constitution. The lawsuit is the latest foray in a long-simmering battle over how Sound Transit collects car-tab taxes. Car-tab taxes are the agency’s second-largest source of revenue as it works to build a massive expansion of bus and light-rail service approved by voters in 2016 under the Sound Transit 3 (ST3) ballot measure. “This is great news for the commuters of this region,” Sound Transit spokesman Geoff Patrick said. The agency uses an outdated formula, inherited from the Legislature, to estimate a car’s value for the purposes of collecting taxes. The formula inflates newer cars’ values, relative to Kelley Blue Book values, resulting in higher car-tab fees. Despite bipartisan support, the Legislature has repeatedly failed to pass bills that would correct the formula. 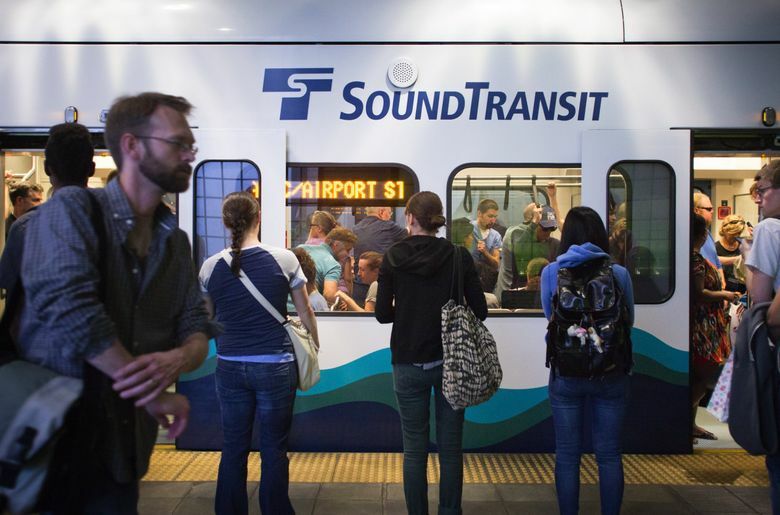 Last fall, a Republican-led state Senate committee investigated Sound Transit’s actions, focusing, in part, on the same legal issue raised by the lawsuit. The lawsuit hinges on the 2015 law and the circuitous, convoluted legislative and judicial history behind how car-tab taxes are levied. Tax calculations will revert to the newer, more accurate depreciation formula once bonds are paid off in 2028. Lawmakers knew what they were doing. A proposal on the Senate floor to use the newer, more accurate formula was voted down by the Republican-controlled Senate. But Joel Ard, attorney for the plaintiffs, argued that citing an outdated section of the law is the same as amending the law without reprinting the provisions being changed — which he said is unconstitutional. He argued that Sound Transit has no authority to collect car-tab taxes at the inflated rates and must return to taxpayers car-tab taxes that have been paid under ST3. “The Legislature decided they didn’t want two depreciation schedules to apply to one vehicle every year,” Sound Transit general counsel Desmond Brown said. Ard declined to say Friday if he would appeal, but Republican state Sen. Steve O’Ban and anti-tax crusader Tim Eyman, both longtime Sound Transit foes and boosters of the lawsuit, both said an appeal was likely. Eyman is also collecting signatures for another initiative, at least his fourth effort, to cripple Sound Transit’s ability to collect car-tab taxes.